Bell Island is a little known explorer’s paradise, a short distance from the city of St Johns, Newfoundland, Canada. 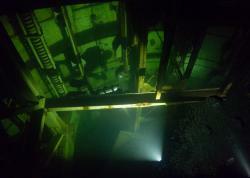 Our ‘Exploring Bell Island’ Minimentary came together after a week of diving as part of a group put together by Jill Heinerth on behalf of the Royal Canadian Geographical Society, with the aim of documenting the historically significant shipwrecks. 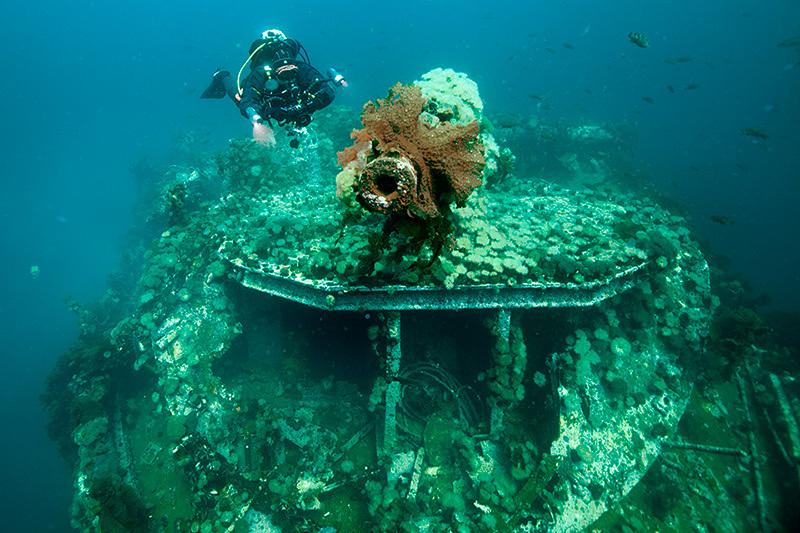 We were blown away at how incredible the wrecks are, and how unique the area is. We shot underwater video throughout the week, but only towards the end of the trip did we decide to interview Jill and make it a goal to share with others the importance of Bell Island through our Seaproof.tv Minimentary. It’s too much of an amazing place not to! 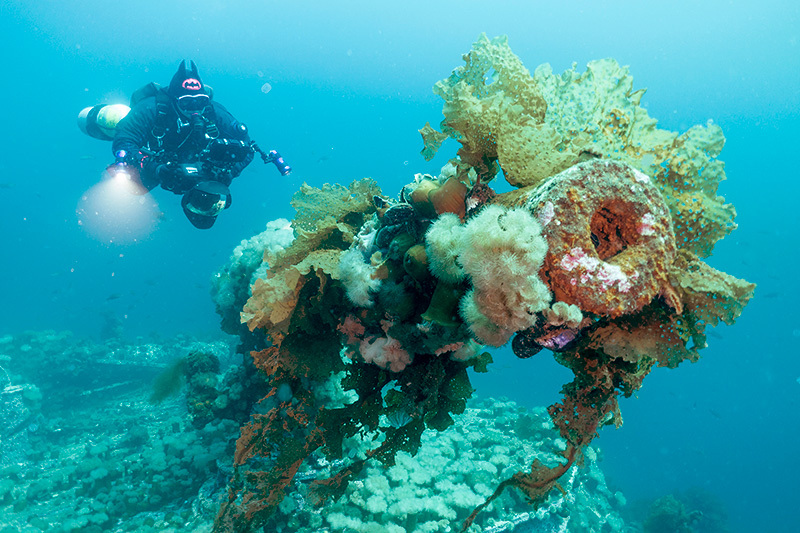 Bell Island has everything an underwater explorer could want: historic shipwrecks covered in marine life, an underwater mine for certified cave divers, stunning shore dives, clear water, and a fantastic dive operation with photographer friendly boats - Ocean Quest Adventure Resort. For the shoot, we used a Canon 5D Mark II with Magic Lantern, Aquatica housing, and Light & Motion lights, all packed away in fabulous Nanuk hard cases. Above water, we used a mixture of the same 5D Mark II, GoPro Hero 4s, Sony AX100, and the occasional iPhone snippet. We left the Sony AX100 above water as it’s not wide enough to do these wrecks justice; nothing comes close to a 5D with a 16-35mm lens on. Ideally we would have shot this in 4K, but the 5D Mark II is the better tool for this job. Its full frame sensor takes in an enormous amount of light, even at depth, emphasizing the good visibility. The 5D’s video also has a nice cinematic softness to it that we wanted for this specific shoot. We wanted it to feel epic and more cinematic than what we normally shoot - which also lead to our decision to edit this in a 21:9 ratio. These wrecks deserve to be made to look as cool as possible! We planned our dives so we could capture the more iconic areas of the wrecks: the bow, the stern guns, torpedo damage, anchor, and so on. We were using open circuit, so bottom time was fairly limiting, though the wrecks are in recreational limits. We always had a rough idea of where we were going, and to what end. Jill would give us a good idea of what to expect on the wrecks, and what could be of interest. One of the wrecks had an intact Marconi room, one had some old vinyl laying on the deck, some had ammunition boxes, one an old shoe. All great visuals for a video. An important part of the diving experience for us is what goes on above water; the people, the geography, and the history. 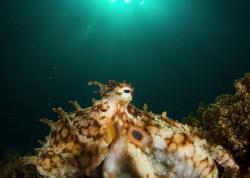 It’s also very important for non-divers to see more than just a close up of a nudibranch. Exploration and adventure define us as a species, not just as divers. We want non-divers to watch this video and be amazed at what lies beneath them. We edit using Adobe Premiere Pro CC, on two MacBook Pros. It’s a collaborative process that we enjoy - it’s where the story really comes together. We have a pretty elaborate editing system and set up in an office crammed with hard drives, monitors, and a healthy supply of coffee and biscuits. We share our videos on Vimeo, YouTube, and Facebook - for us it’s all about sharing and getting people to see the cool things we’ve seen. Hopefully, a few people will look twice, and maybe think about exploring our seas for the first time. Seaproof.tv is a company that Trisha Stovel and myself, Russell Clark, formed 3 years ago as a way for us to make these Minimentaries to tell the world about all the amazing things out there. Seaproof.tv has now grown into a successful video business, providing content for Canon cameras, Performance Freediving International, Global TV, and a host of others. At our core is a love for telling a good story. As Walt Disney used to say, ‘”We don't make pictures just to make money. We make money to make more pictures." Seaproof.tv is an underwater video company based in British Columbia, Canada, a partnership between Trisha Stovel and Russell Clark. Trisha was originally from Ontario; a dive instructor, underwater videographer, and ocean lover through and through. Russell moved to Canada from England just over 6 years ago, started diving, and never looked back. 3 years ago we formed Seaproof.tv as a way for two video and ocean lovers to combine forces; it’s been non stop videos, endless camera gear, and lots of diving ever since. 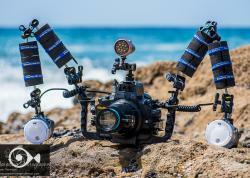 With a focus on underwater video, we produce unique content for small businesses, independent productions, and non-profits. But at the heart of what we do are our Minimentaries - and we’re just getting started. We have at least four more Minimentaries in the can, and an endless stream of ideas for new ones.